The OpenDaylight Project cited the growth and diversification of its software-defined networking (SDN) platform as it issued a new release, Beryllium. "Beryllium is the culmination of the work of more than 600 developers from organizations and countries around the world coming together to define the future of networking," said Colin Dixon in a blog post this week announcing the organization's fourth release of its open source software. Dixon said the new release features improvements in performance, scalability, and functionality while addressing key networking challenges such as automated service delivery, network resource optimization, cloud and network functions virtualization (NFV), and more. He also noted the open source network virtualization platform is growing beyond bleeding-edge, early-adoption scenarios, moving from the proof-of-concept stage to be applied in more real-world production environments. "People are actively using OpenDaylight to provide automated service delivery for customers, optimize the network resource utilization of their applications, scale and automate their cloud and NFV deployments, deliver regional networks for smart cities and IoT [Internet of Things], as well as simply providing better visibility and control of the networks they already have," he said. Those claims were backed up by a new user survey -- the project's second one -- that speaks to the platform's growth in terms of both usage numbers and the types of usage. Who's Using OpenDaylight? (source: OpenDaylight). "More organizations are using or testing ODL to solve key network challenges as production-ready SDN deployments continue to rise," said exec Melissa Logan in her own blog post. "The most interesting emerging trend is the increase in diversity -- diversity of use cases being tested and deployed, company sizes and industries being served, problems being solved, and technologies being used." Cloud and NFV (28 percent). Network monitoring, management and analytics (27 percent). New service creation (19 percent). The platform is also being deployed globally, the research indicates, with the top three countries deploying ODL being the U.S. (34 percent); China (14 percent) and Japan (9 percent). Greater ability to innovate and compete (ranked third on previous survey). 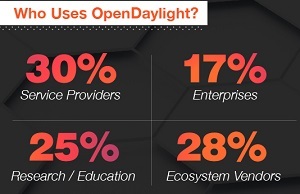 Ability to leverage the growing OpenDaylight ecosystem of solutions and applications. Ability to write my own network applications. Full results of the survey have yet to be published, but Logan said a complete report would be issued in the coming weeks. While that's being prepared, work is also progressing to make the platform even more production-ready, with OpenDaylight putting out a call to developers to help design the organization's next release, Boron. "We invite all OpenDaylight developers to join the industry's largest open source SDN community next week in San Mateo for the Developer Design Forum (DDF)," the group said in yet another blog post. "It's where developers meet to plan the next release 'Boron' and connect on a range of topics related to platform development." That show runs next Monday and Tuesday. In Beryllium, meanwhile, OpenDaylight provided more details on improvements in the aforementioned performance and scalability and other areas such as ease of adoption, the abstraction of network models and a broader set of use cases. [Click on image for larger view. ]OpenDaylight Beryllium (source: OpenDaylight). "Stronger analysis and testing of clustering (where multiple instances of ODL act as one logical controller) appear in ODL Be," the group said in a statement this week. "Applications that want to be cluster-aware can choose how to put data across the cluster. For the first time in OpenDaylight, the Be release includes all the components necessary to fully support OpenStack High Availability and Clustering with improved support for Neutron APIs and features. As of the Be release, OpenDaylight enables workload placement on hosts with DPDK-accelerated virtual switches." Dixon expounded more on the key clustering technology. "Probably the biggest OpenDaylight-wide focus in OpenDaylight was around many of our applications and plug-ins adopting the clustering technology that we developed in Helium and Lithium as well as enhanced in Beryllium," Dixon said. "The end result is that many of our key protocol plug-ins (including OpenFlow, OVSDB and NETCONF) are now fully clustered providing highly available service so that even if one node in an OpenDaylight cluster goes down, another node will take over for it and service will continue uninterrupted." Ease of adoption was addressed by integrating features designed to improve the interoperability in multi-vendor environments, such as updates to the platform's microservices architecture, along with new projects such as NetIDE -- "for intent-based network modeling" -- and NeXt UI, which provides visual displays to help users better understand the platform's functionality. 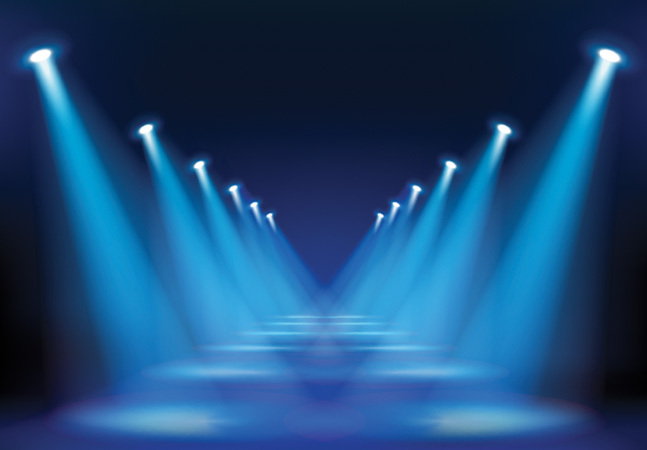 "Dozens of vendors and end users have already chosen to build and deploy solutions leveraging the OpenDaylight platform," project executive director Neela Jacques said in a statement. "ODL Be delivers important performance and scalability improvements and adds significant new network services and abstractions to serve the ever-growing set of use cases being tackled by end-users. ODL Be brings us one step closer to unifying the industry around a single, common platform." OpenDaylight said interested networking pros can learn more about the release in a Webinar next Thursday.